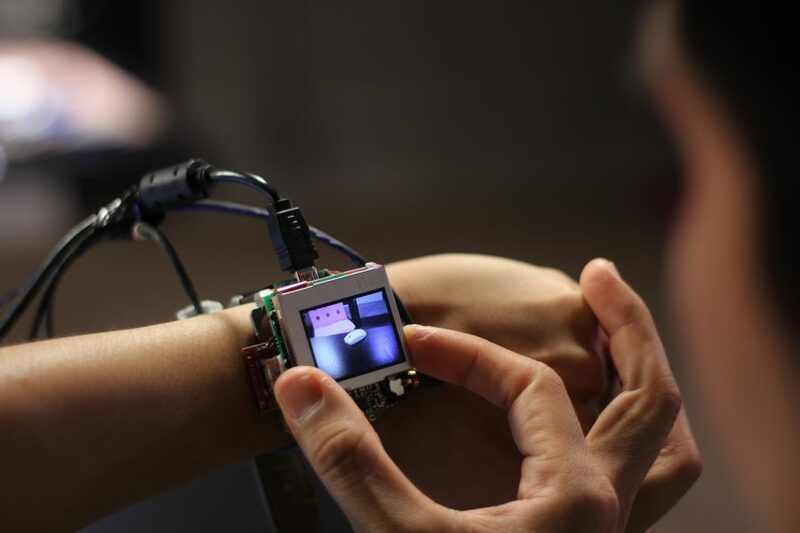 Xiao, R., Laput, G., and Harrison, C. Expanding the Input Expressivity of Smartwatches with Mechanical Pan, Twist, Tilt and Click. In Proceedings of 32nd Annual SIGCHI Conference on Human Factors in Computing Systems (Toronto, Canada, April 26 – May 1, 2014). CHI ’14. ACM, New York, NY. 193-196.